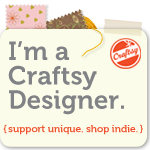 I am Maria, I started my handmade business since August 2011. I make and sell bags, purses, baby fashion, home decorations (mostly pillow chair, neck pillow, wall hanging), and scrapbook. So, if you need a special order, contact me. I would like to hear from you.